In December 2014 Mother Jones senior reporter Shane Bauer took a job as a corrections guard at a Louisiana prison run by the country's second largest private prison company -Corrections Corporation of America (CCA). Bauer spent four months at Winn Correctional Center, where he and another guard were responsible for supervising more than 350 inmates. His experiences became the cover story of Mother Jones' July/August 2016 issue. 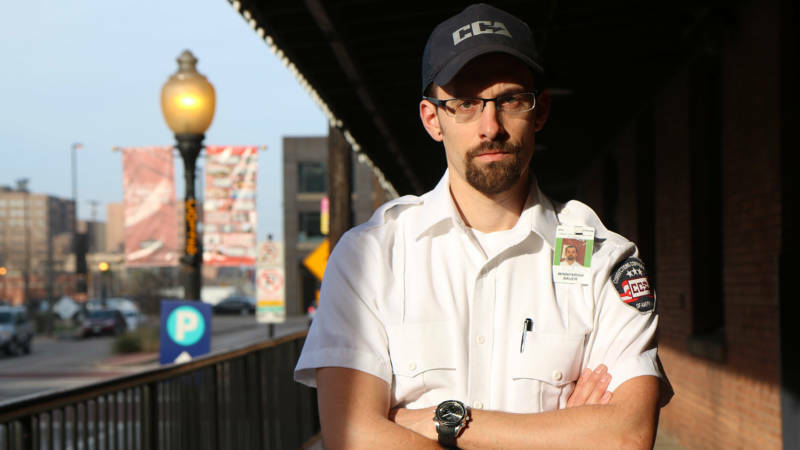 We'll talk with Bauer about inmates and guards struggling to survive amid understaffing, violence and poor medical care, as well as his own experience getting swept up in the mentality of being a guard. Bauer previously made headlines when he was held captive in Iran from 2009 to 2011 on charges of espionage after he and two friends were captured during a hiking trip.